New Quota rules to govern places for female boxers in the Olympics! 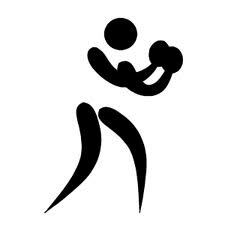 Under new rules announced by the AIBA on May 10, 2012, places for female boxers in the 2012 London Olympic Games will now be based on a quota system. What this means is while there will still only be 8 spots in each of the three weight categories, each of the places will be based on the TOP WINNERS in their continent in addition to being in the top eight over all. Within the quota awarded to each of the continents (see table below), the highest ranked boxers from different National Olympic Committees (NOCs) in each weight category at the 2012 AIBA Women’s World Boxing Championships will obtain a quota place. This quota is based on two calculations: the number of places allotted to winner’s in the 2012 AIBA Women’s World Boxing Championships plus the number of places allotted by the Tripartite Commission. A total of 24 places will be offered through the championships. An additional 11 places will be allocated in accordance with the rules governing the Tripartite Commission rules, which includes eligibility criteria for individual NOCs based on their application for Tripartite Commission Invitation Places. The request for invitation places was due by January 16, 2012. Decisions will be handed out prior to July 1st. The Host nation (United Kingdom) will be offered the remaining Tripartite female place. If all of that sounds complicated, it sure feels that way to me. The bottom line is, rather than simply selecting the top 8 from each of the three Olympic Weight Categories as originally announced, these new rules now add the extra burden of either winning or coming in second among the boxers in the fighter’s continent, based upon the continental quota in a particular weight category. For the United States, this means that Marlen Esparza and Claressa Shields must come in first or second in their weight class, while Queen Underwood must come in first in her lightweight division among all of the fighters in North and South America. I have not been able to ascertain why this rule change was made. If any Girlboxing readers have more information about the rules change, it will be greatly appreciated if you fill us all in! Part of it I think is fairness to those countries that don’t have top of the line training facilities and coaches; another is simple population demographics. In order to get as many viewers (and support for the IOC) they need as many countries represented as possible. Thanks so much! I kind of figured that might have been the reason, but found it curious that the rule change was made so close to the actual event. as far as I know (and reported) they did this a few weeks before the event. « AIBA Women’s World Boxing Championships 5/12/12!